The forecast this weekend isn’t great so we wanted to offer some guidance to parents wondering whether or not training would be cancelled. We would never cancel a session just because it’s raining. However if the surface becomes completely waterlogged, which was the case last Sunday, then there is no way of playing football on it. 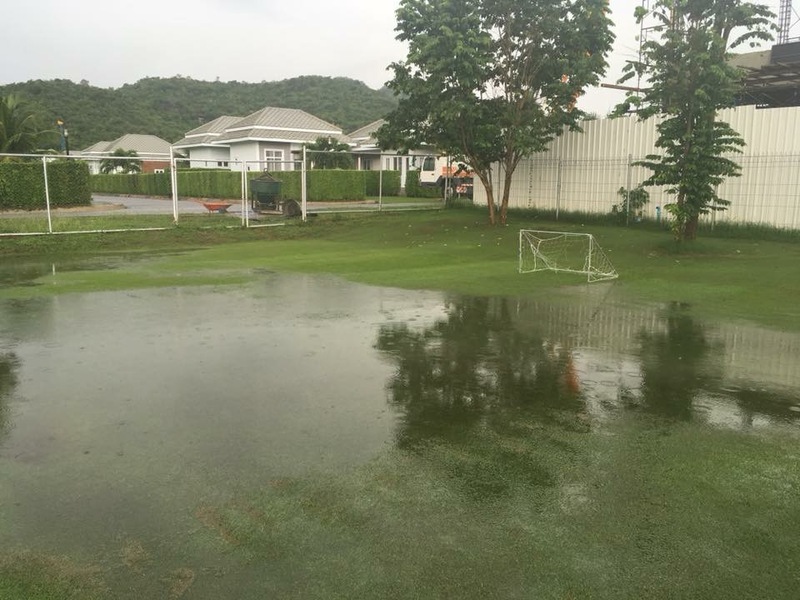 Hua Hin International School spent a lot of money on the drainage system, meaning that the pitch can be used in anything but the most extreme of weather conditions. 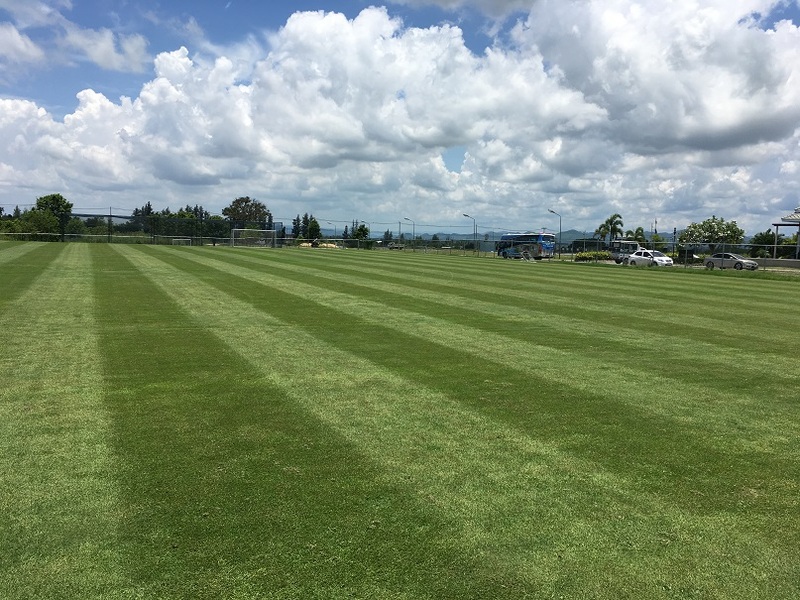 We want to play just as much as you do and will never cancel a session unless it is totally necessary. 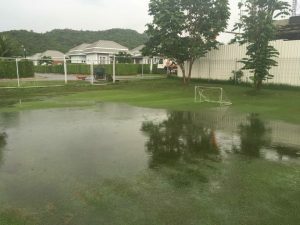 Unfortunately last Sunday the rain started to fall very heavily at around 3:45pm, by which time we were already at the Black Mountain Hua Hin Football Academy preparing for a session. Please note that we can’t access the BMHHFA website or email from our phones. So on the very rare (we hope) occasions that we need to make a last minute cancellation we will post on the Facebook page, which is quick and easy to update from a mobile device. Alternatively you can try ringing on 0848 497 750 (English) or ‭0854 384 654‬ (Thai). 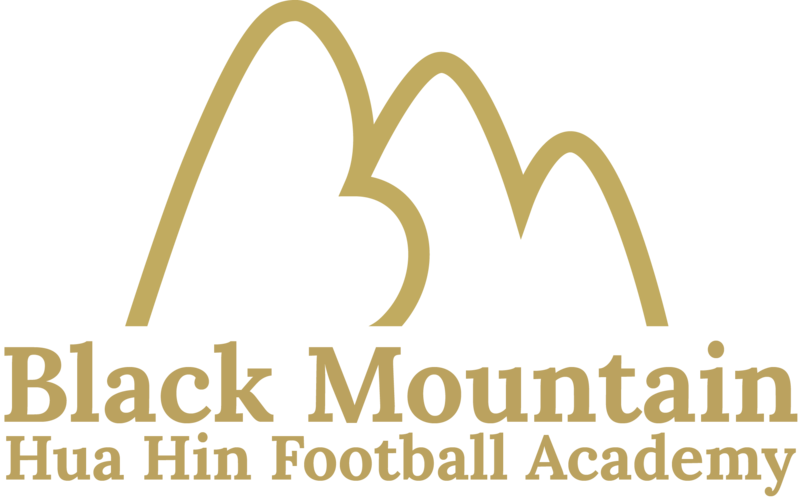 Since BMHHFA opened at the start of May we have only had to cancel one session, and we hope we won’t have to cancel any more.